Cooking is all about being excited, inspired, and creative. If I can music nerd out on you a bit: I think of cooking as building a chord. Each note in the chord has a specific function- the root is the base on which you build, the third sets the mood, and the fifth really helps set the chord. From there more notes add color, flare, and even mood. Each note is important and serves it’s own functional role in the chord. Change one note and the sound you hear is completely different. I knew when I it was my time to pick a recipe to host for the Food Matter’s Project, I wanted to pick something that would really inspire people to do their own take. I’ve loved hummus for years and it always amazes me when people say they’ve never made hummus before (and always buy store bought.) It’s such an easy process I feel everyone should know how to do it! 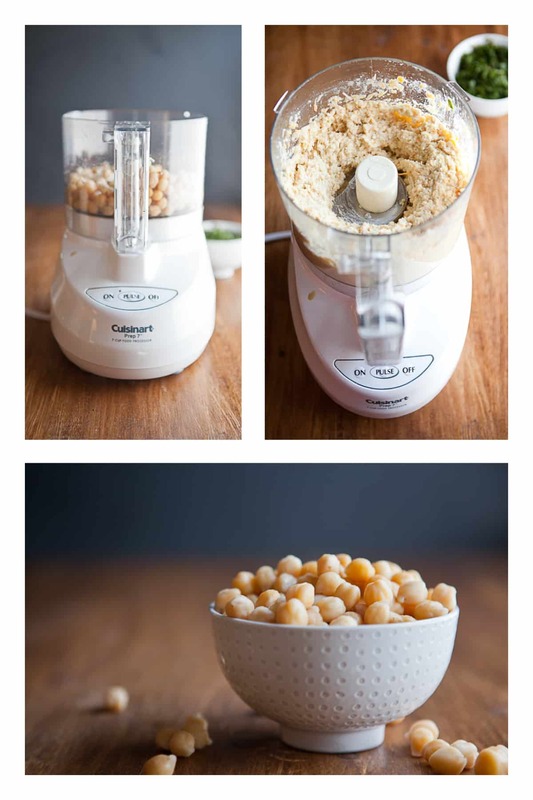 So the chickpeas serve has a base and is then built on with garlic, tahini, and lemon juice. The great thing about hummus is that there’s not limit on how you spice it up. You can add roasted red peppers to get a little smokiness, roast the garlic to get a bit of earthiness, or even add curry powder for a bit of kick. Hummus is one of those recipes that is great to have in your pocket when you forget you are having guest over in 20 minutes. It’s healthy and can be used numerous ways (not just to dip your veggies and pita in!) One of my favorites is to lather it on a grilled cheese. Hope everyone enjoyed this week as much as I did and I can’t wait to see the takes! I have to say that I always have a batch of hummus in the refrigerator. It makes for a healthy snack (with veggies) or a great addition to lunch/dinner. Bittman gives the base +a few extra additions but what I’ve learned in my hummus make journey: the possibilities are endless! As always don’t forget to check out everyone’s take here! Since I make hummus all the time also, this is definitely one of those recipes that I would have overlooked…but I’m so glad i made it because it forced me to use hummus in a whole new way! 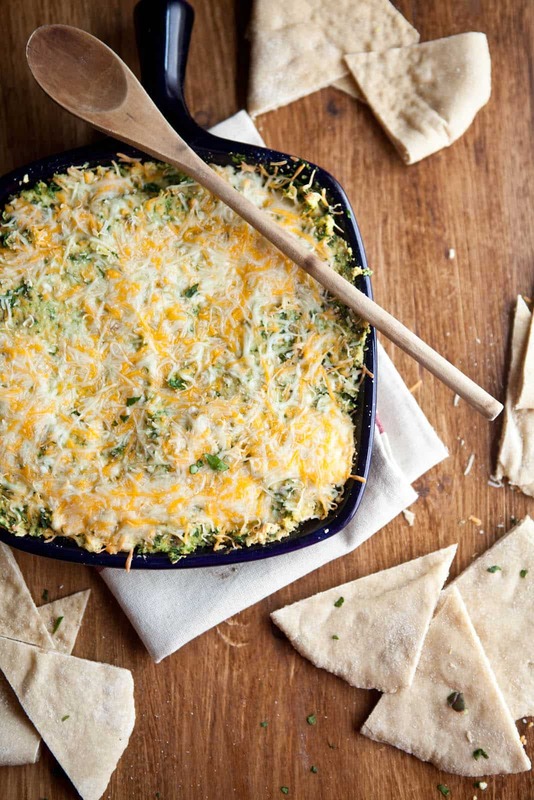 I love this idea for your dip…you get that indulgence of spinach dip but without feeling like you’re going to die afterward. It’s the perfect fifth rather than a diminished chord. Yum-Lebanese cooking class sounds amazing! Thank you! I have to say that I love the hummus with the add-ins. I would say if you like sun-dried tomatoes, roasted red peppers, or herbs- try those next time! 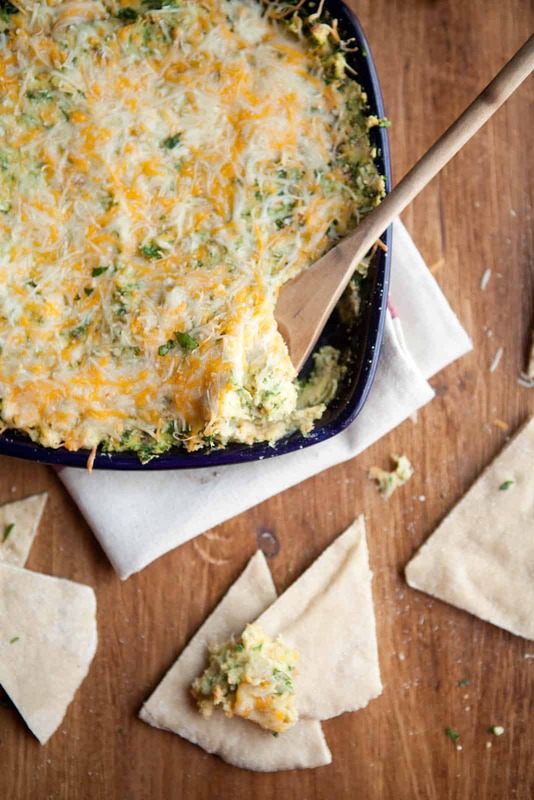 I looooove spinach and artichoke dip, but this looks like a much healthier alternative….so creative! Great choice this week. I loved it!! I love everything about this post, Erin! I’m not a musician, so I had never thought to compare cooking to music but the way you explained it makes perfect sense. And turning spinach dip version of hot hummus?! Genius! Oh my, Erin– does this look delicious! This looks great! Love the addition of spinach. And it makes such a great recipe for inviting people over too! You’re speaking my language – I was a music major once upon a time. I’ve never thought of food as a chord, but now I will! Wonderful recipe! Thank you, Dara! It’s always fun to hear how many people were once in music! Yum! I love the idea of baking this dip. I don’t think I’ve tried a hummus like that before. Your hummus recipe & dip sound great! Found you via Vanilla Lemon – beautiful blog! Your spin on hummus is my favorite of the bunch this week. I plan to eat with tortilla chips while watching survivor at a friend’s house next week (we’ve already got black bean dip on schedule this week). I fell in love with that grilled cheese idea too. By the way : beautiful pix, beautiful recipes, inspiring blog! Could not wait ’til next weet. It was as yummy as it looked. but what about those of us w/o food processors? is there a way to make hummus w/o? please let there be …. I’ve seen people use a blender or and immersion blender before. I can’t attest to how it would work but I have to think it would! Hope this helps! Like you, I’m a fan of spinach and artichoke dip. This looks like a great twist on that. Excited to give this a try! Now you have me so interested in hummus on grilled cheese! Hummus with cheese in general…what an easy way to turn it into something else! I’m pretty sure than hummus+ grilled cheese is one of the best things ever! That must be delicious! I love dips and hummus, I have seen a lot of baked hummus but I think I try yours because it looks terrific. This looks like a clever take on 1) traditional hummus and 2) the typical baked dip that can in no way count as healthy. Can’t wait to try it! Hmmm, let’s see. Love Hummus. Love Spinach. Love Cheese. Yes…..I think this is a keeper! I’ve never heard of tahini. Can it be made at home or do I have to find a specialty story? It’s a sesame paste and I believe you can grind sesame seeds or just use sesame oil. Tahini is made of sesame seeds – you can make it by blending or mashing them, but it takes a lot so it is much easier to buy it at the store. I found it in the health food section of my grocery store. Tahini is kind of like the peanut butter of sesame seeds. I don’t care if it’s 90 degrees, I’m cranking up the oven to make this again. It was a hit with my family when we had it last week! Great combo. So yummy! I didn’t even bake it just warmed it a little in the dehydrator. I think I will be adding artichokes to this as well….thoughts? I had that thoughts as well and probably would have if I happened to have them in my cupboard at the time! So I say, yum! So if you are going to use a different hummus recipe (or store bought), how much hummus do you use for the spinach dip? I thought I responded to this already! (whoops!) I would say roughly1 1/2-2. You can really take liberty with the amounts though! I made the Hummus a few nights ago and LOVE IT! So does everyone at work. I use the same base recipe for hummus but, I have never tried it hot! I can’t wait-have all the ingredients! I just made this for my book club and it was a hit! I added artichoke and used Sabre hummus and it was amazing!!! Thanks for this recipe! Will definitely make again. I wonder if you added a tad of mayo if it would make it creamier or have a sharper taste? What do you think? I’m not really a big fan of mayo, so I’m not really sure! So going to try this for a games night I’m hosting.. – any thoughts on substituting the Olive oil for Toasted Sesame oil? Oh and what cheese do you recommend? Personally I try and avoid cows milk – so would this be odd using goat’s cheese? I think goat cheese would be totally delicious and I think the sesame oil might work since it already calls for tahini! Thanks so much for the inspiration. This helped me turn a bunch of leftovers into something fantastic and healthy. I made mine with hummus, 2 cups chopped kale, mozzarella cheese and a 6 oz container of greek yogurt (added because I did not have enough hummus to get the right consistency). Added cumin seeds, smoked paprika and oregano. 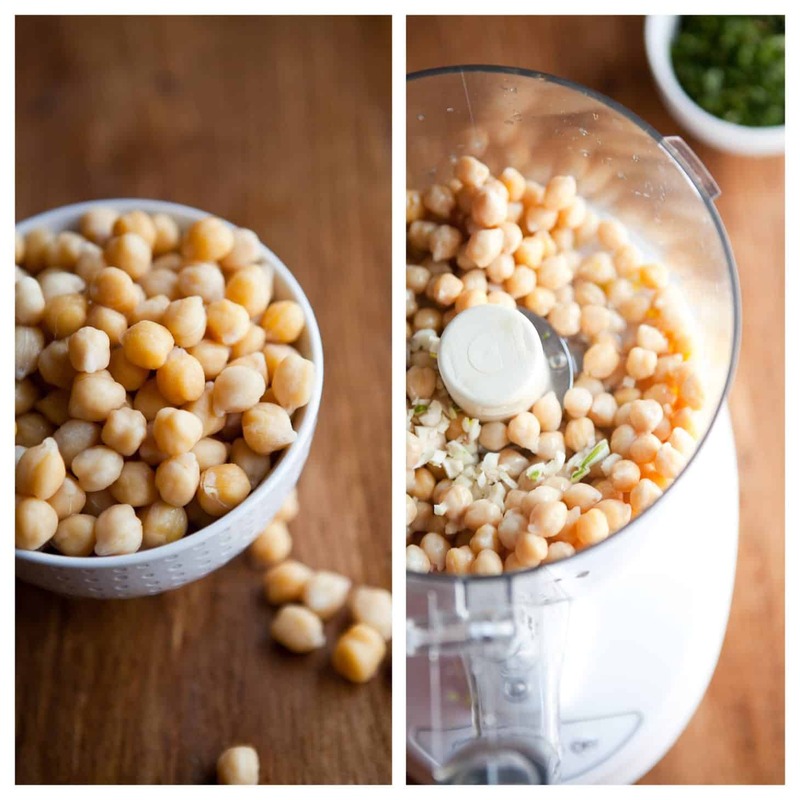 Loved your use of the food processor! Made short work of the kale and smelled like cut grass, which is awesome in the middle of winter. Thanks again for the inspiring concept. Do you think this will freeze good?? I have to make it for a baby shower in advance. Any advice?? This recipe idea sounded amazing! I love spinach dip & I love hummas. Unfortunately, I found out I don’t love them together. I made this and took it to a party and no one really ate it. Oh well. I guess I’ll keep them separate from now on. That’s too bad! Was it the flavors, the heat, or something else? (just curious if I can adjust the recipe in any way). Thanks! I’ve used many different kinds before: cheddar, gouda, or goat cheese. I recommend a cheese that melts well! I’m trying to stay dairy-free, so I might try this just with fresh spinach and the homemade hummus. It’s been awhile since I’ve made this but I think a 1qt dish would work! I’ve had this recipe bookmarked for years, and I finally just made it for a party last night. Everyone LOVED it! I got so many compliments on the dip. Thanks for the recipe!